Here is my new upcycling project. It is a Victorian style wall art piece. It’s Victorian style shoe image printed out on a piece of fabric. It is a totally go green project. I have used old shirt fabric to print the shoe on. 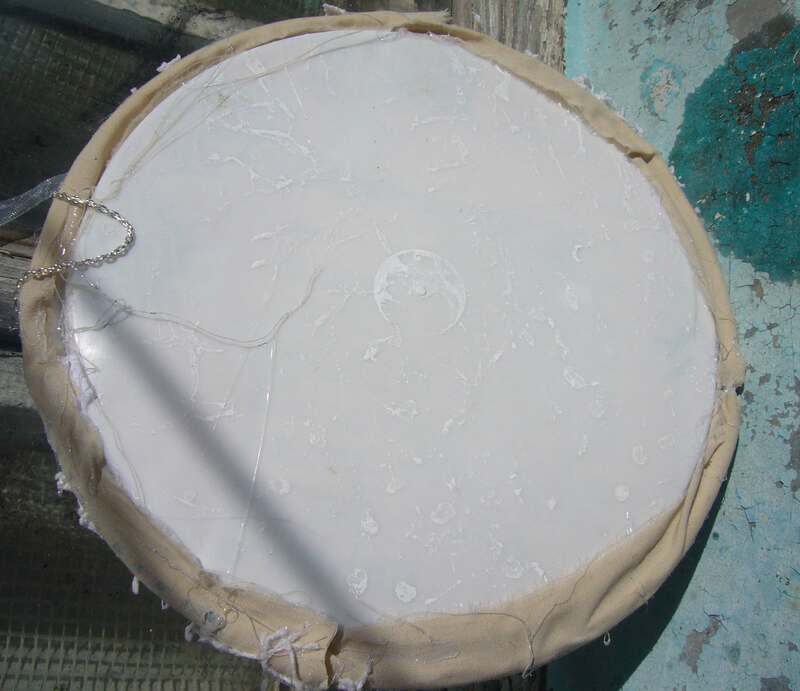 It’s a lid of the plastic paint can I used for a planter. I have decoupaged the lid with old book pages. Then I used hot glue gun to cover the edges with fabric and vintage lace. And I glued the fabric shoe image onto it. 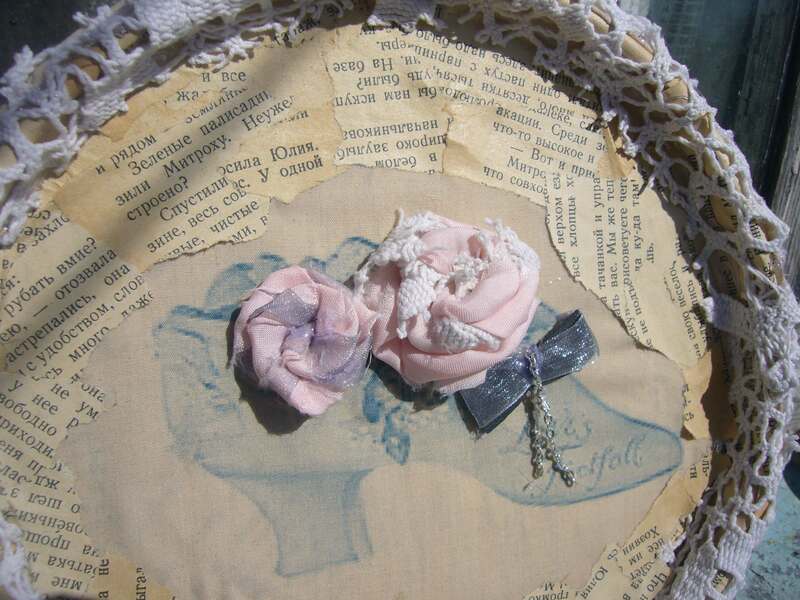 Then I made rolled fabric flowers and leather and chain buckle for the wall art shoe. This was I sort of made a 3D wall art image printed on fabric. It looks really lovely on the wall. Check out my facebook page to find more crafting inspiration. 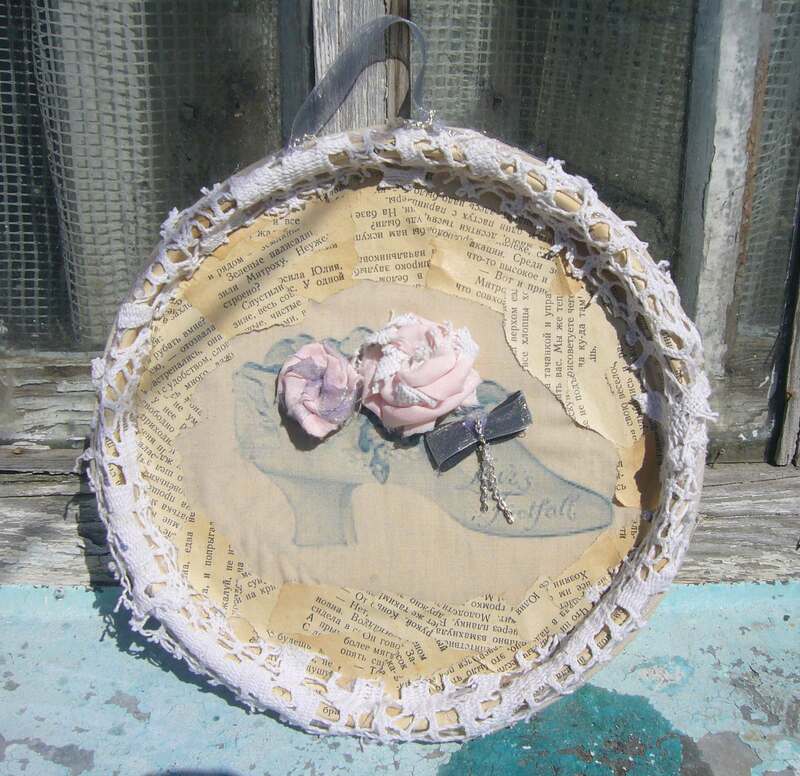 This entry was posted in Decoupage ideas, Go green and tagged crafting, DIY, diy frame, diy wall art, fabric wall art, handmade, print on fabric, recycled craft, recycled frame, recycled wall art, shoe wall art, victorian shoe, victorian style wall art. Bookmark the permalink.